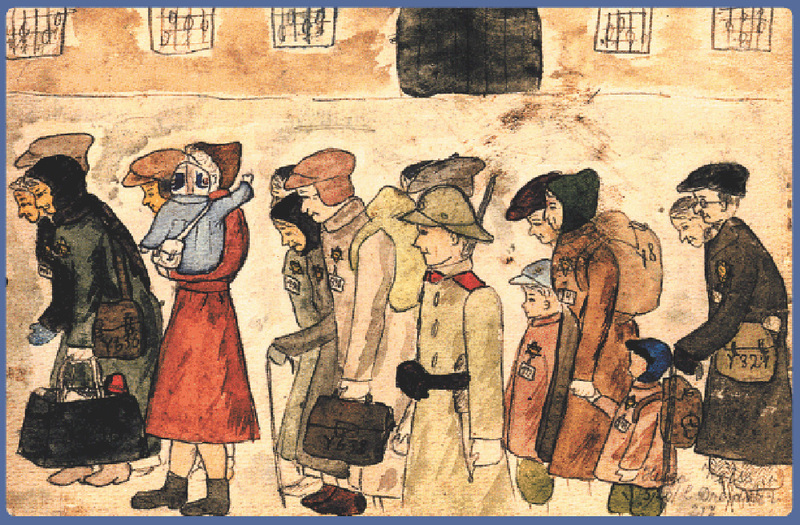 Out of anything that I saw in Prague (and there were plenty of majestic and beautiful places), it was the Holocaust children's paintings and drawings in the Pinkas Synagogue that I will remember the most. I could barely exit the exhibit. To imagine the children, sometimes secretively painting with the precious resources their art teacher, Friedl Dider Brandeis, had brought for them to the concentration camp, left me teary. I couldn't stop thinking about those faces, drawings, and their beloved art teacher. Most of those children never lived to be adults (about 132 survived from the Terezin concentration camp out of 15,000 children). Their drawings and paintings now witness to us their living nightmares, but also their aspirations and dreams. The concentration camp, located a short drive out of Prague, was a "model" or "show camp." It served as a way station to concentration camps from the east for mostly Moravian and Bohemian Jews who were on their way to Auschwitz. The Nazis knew that the Red Cross would be inspecting the camp (about 150,000 went through its gates), and promoted Terezin as a camp where education, music, drama, and art was interwoven into their daily lives. Often times bread was exchanged for a class. The art teacher, Friedl Dider Brandeis, was a well known artist when she entered the gates of Terezin in 1942. She had been mentored by several famous artists of the 20th century, namely Paul Klee and Franz Cizek. In her early training, Cizek had encouraged her to "Show your soul in your art." Decades later, as she painfully searched for paper for the children to draw on in the concentration camp, she also pled for the children to "show their souls." In her own words, Friedl Dider Brandeis spoke of how she taught art to the children, "The drawing classes are not meant to make artists out of all the children. They are to free and broaden such sources of energy as creativity and independence, to strengthen the children's power of observations and appreciation of reality." Later two of her students, Ella Libermann and Helga Weissova, would survive to be famous artists. Years later, Helga said that her art was rehabilitative for her after Terezin, Auschwitz, and an intern camp in Cyprus, on the way to Palestine. Friedl Dider Brandeis, an artist who some say could have been a major artist of the 20th century had she not been sent to her death in Auschwitz, was intensely passionate about her teaching in Terezin. In a place of darkness and evil, she believed that the small papers she gathered for the children's canvas and few paints and pencils she had, were tools to excavate imagination and creativity. Erma Furman, who later became a pediatrician, said of Friedl's teaching, "The times spent drawing with her, are among the fondest memories of my life.... She taught without even asking for anything in return. She just gave of herself." When Friedl knew she would be deported to Auschwitz, she gathered 4,500 of her student's drawings, and hid them in two suitcases. Now these paintings and drawings hang in the Jewish Museum of Prague, the Pinkas Synagogue in Prague, and the United States Holocaust Museum. Some of the drawings were later used at the Nuremberg Trials. Little would she ever know, that those simple drawings from children in a concentration camp would be their stories, even the world's stories. She was an illuminating, blazing fire in a place of pitch darkness. Friedl Dider Brandeis (1898-1944) was an immensely talented and even acclaimed European artist when she entered Terezin, the Czech concentration camp. Her design of stage settings, lace, and textiles were well known. Later she painted landscapes, and taught the children of Terezin art lessons. Today she is most remembered for her courageous legacy of teaching art/art therapy in the Terezin concentration camp. A more whimsical image of a child who had seen a theatre performance in Terezin. It is interesting that the fireflies are what captured her imagination--light. She was probably trying to absorb some light in a place that was void of it. An unknown artist's drawing of "Girlfriends"
A twelve year old's vision of "The Tree of Knowledge" It makes you wonder if she felt the world was hiding some knowledge that he did not know about or craved to know. Alfred Kantor. 17 years old. 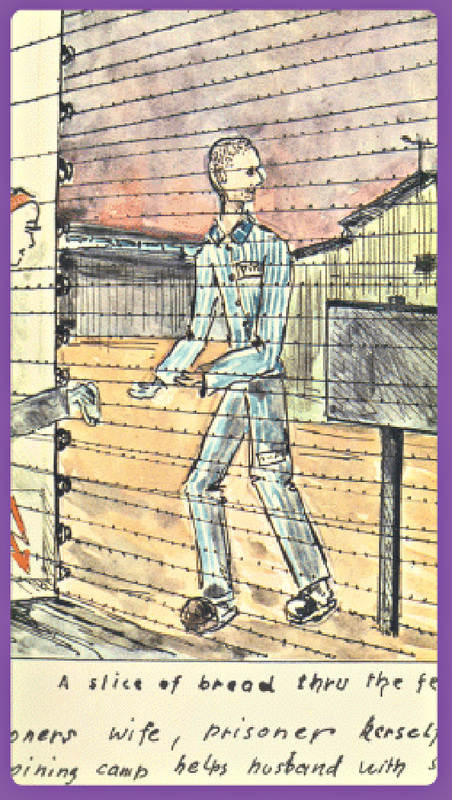 He wrote about this drawing: “Touch the wire fence meant instant death. However, people shared bread, a smile, a tear…”. Terezín. Helga Weissova. 13 years old. Drawing titled “Terezín arrival”. Helga entered in the concentration field with just 12 years old. She brought a box with paintings and a notebook. She draw more than 100 paintings doing what her father told her: “Paint whatever you see”. Here ended Helga’s childhood. With the responsibility of painting everything she saw and experienced. She was one of the few survivors. 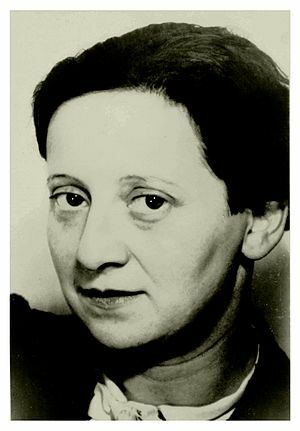 Helga Weissova. 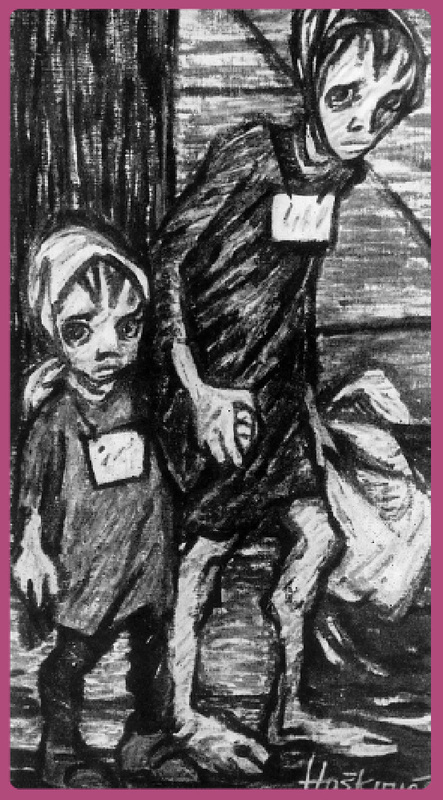 The last drawing of her series, made at Terezín’s exit in 1945. Everything can be sensed in the children’s look. Yehuda Bacon. 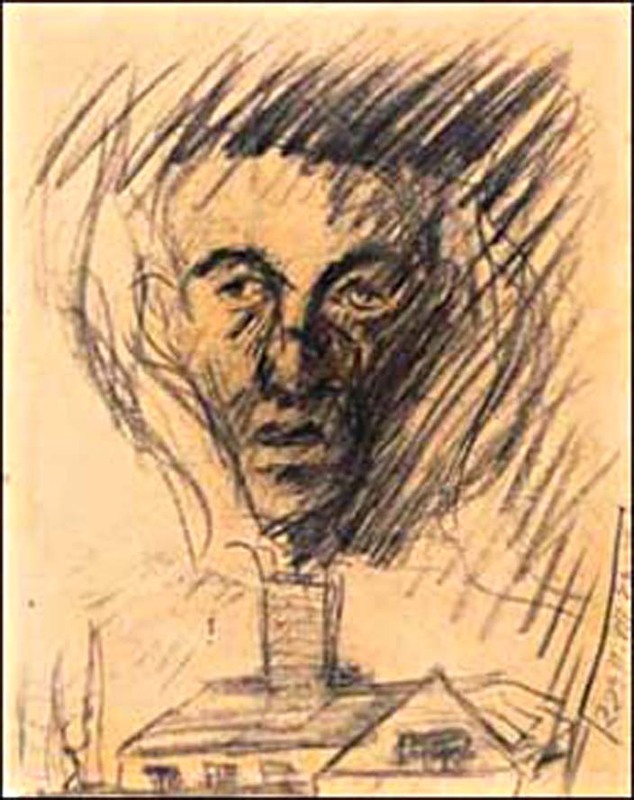 Being 16 years old he drew this portrait of his father recently gassed and burnt at Auschwitz. The face of his father emerges emaciated through a curtain of smoke. Tokyo Fuji Art Museum founder, Daisaku Ikeda, who was instrumental in bringing the exhibit to Japan, stated, " The various artworks left behind by this great woman and the children of Terezin are their legacy to the present, to all of us today. They demand that we continue in our quest for a society that truly treasures human life, transcending all differences of race, religion, politics, and ideology. It remains my heartfelt hope that this exhibit may provide a moment of introspection for its viewer, a moment for us to reaffirm the importance of our rights as human beings and the value of life itself."